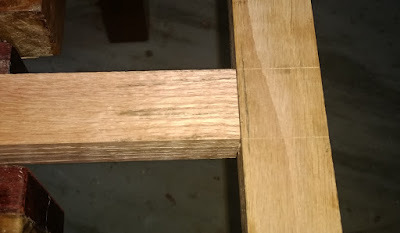 I finally figured out how to cut tenons accurately. After more than a couple of years trying, I might add! And thanks entirely to master craftsman and teacher Paul Sellers (paulsellers.com). Cutting mortises with a relatively sharp chisel was something I had picked up a while ago. Hand cut mortises are quick, easy and accurate. I found I had more control cutting them by hand than with a router that could deviate ever so slightly and ruin the mortise. The secret of cutting mortises by hand is accurate marking. If the mortise is marked clearly and matches the width of the chisel that is going to be used to cut it then the mortise will be accurate ninety-nine times out of hundred. The knife marks needless to add should be reasonably deep and straight. The chisel does the rest of the work. An inch-deep mortise shouldn't take more than a few minutes to chop. I have found that a good thick mortising chisel also ensures the mortise walls are straight as the chisel can safely be pivoted inside the mortise to clean up the walls. Tenons are another matter altogether. 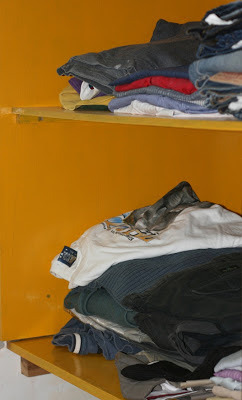 They need to be fettled so that they go in straight, align properly and are flush when you want them to be. For years I thought the answer to cutting the perfect tenon lay in getting the right saw. I tried a couple Western saws, including a fine brass backed English saw and a number of Japanese saws. 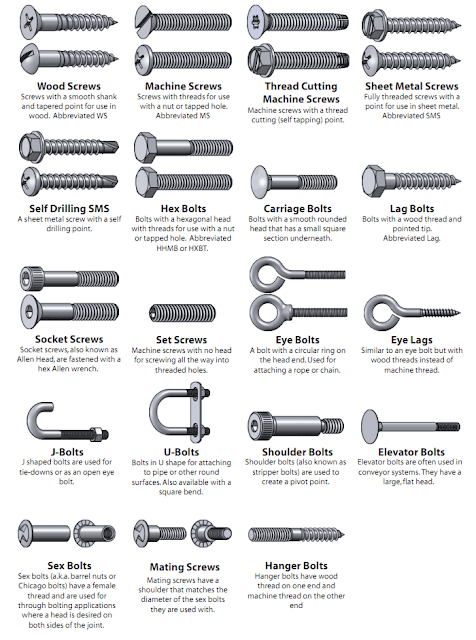 I watched innumerable videos on sawing tenons and how you had to start sawing on one edge, then drop the saw and so on. It worked, sort of but most times I wasn't getting the best fit straight off the saw. Then, watched a Paul Seller's woodworking video and realized that one wasn't supposed to cut on the line and get a perfectly fitting tenon just by sawing. Damn! I had been doing it wrong all along. Mr Sellers shows that one is supposed to cut slightly away from the line - perhaps a millimetre or so away. This results in a slightly fatter tenon that will not readily fit the mortise. The next task is to pare down the cheeks evenly with a chisel or preferably a router plane till it fits. This worked the first time I tried it. Perfectly. And what a great feeling. The problem with theoretical learning is that you often don't get the small details that matter. I have never worked with a professional cabinet maker; far less learnt from one. What I have picked is from books and Youtube videos. Mr Sellers in my view is the only online teacher who provides every little detail of various processes and methods of work. Hobbyist woodworkers would benefit enormously by watching his videos closely. 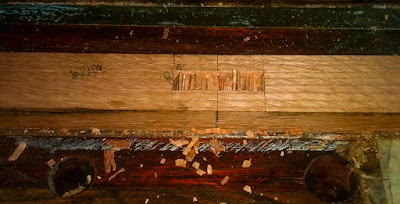 This is so true, cutting tenons slightly more in width and pair to fit - for "mortise first" approach. 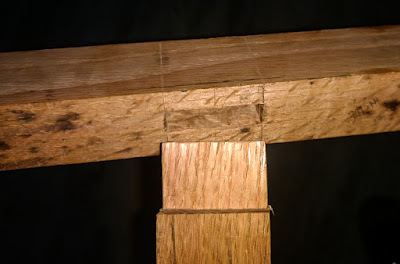 Chopping mortises slightly less and pairing to the width of tenon for "tenon first" approach- these two methods of approximation are very much practical and I have got fairly accurate results in my mortise and tenon joineries. I am a late learner but as they better late than never. Please inform when will you take a workshop on staining and polishing the wood. Now I am in Panipat . And want to see you Sir. Hi sir how do we get in touch with you? You could email me the details at indian.woodworker@gmail.com and post it in ask the experts section.